It’s a question loan officers and mortgage brokers get asked on a daily basis, often over and over again by panicked borrowers. In fact, it could be the most important question a borrower will be asked during the loan process, as it will determine what mortgage rate they’ll eventually wind up with. And the interest rate you pick will dictate what you pay each month for the next 30 years (assuming you don’t refinance), so it’s not a decision to be taken lightly! When you submit a home loan application, you will be asked if you want to lock in your mortgage rate or float the rate. 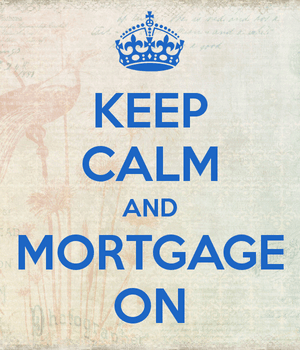 If you choose to lock the rate, you are guaranteeing yourself a certain interest rate on your mortgage. So if the lender says you can lock in an interest rate of 5% on your mortgage today, and you’re happy with that, they can lock it in for you. This ensures that your rate will not change, even if mortgage rates spike higher over the days and weeks after you lock. At the same time, this means you won’t be able to take advantage of a lower mortgage rate, assuming they drop even lower as your loan closing date approaches. Conversely, if you choose to float your rate, you’re essentially telling the lender that you don’t like where rates are at, and want to wait for better. Or it could just be that your loan approval is still a month away, and you don’t want to lock prematurely and have to pay to extend your lock if it takes longer than anticipated to close. Either way, your mortgage rate is subject to change until it is locked, so you’re taking a risk, whether calculated or not. When deciding between locking and floating, you need to assess your situation. Every borrower has a unique story, and every day is different, so there is no hard and fast rule. Some borrowers may not be comfortable with “letting it ride,” while others may be market experts and have a good handle on the direction of mortgage rates. Generally, what’s bad for the economy is good for rates, which explains why they are so darn low at the moment. If you prefer to sleep at night and “like” where mortgage rates are at the moment, locking might suit you better than floating. And if you think mortgage rates aren’t going to get any better, again, locking is probably the move. Additionally, if you can’t risk taking on a higher mortgage rate (think a DTI ratio on the brink), locking your rate would be very smart to avoid any future hang-ups. On the other hand, if you think mortgage rates have room to fall, and you can stand to profit from it, you may choose to float your rate. After all, mortgage rates continue to reach record lows seemingly every week, so why not wait it out a little longer if you’ve got time? Instead of locking in a rate of 3.75% on a 30-year fixed, you might be able to take advantage of all the economic turmoil going on and wait for your rate to fall to 3.5%. If that happens, you’ll save money each month in the form of a lower mortgage payment and a lot more over the life of the loan. You may also receive a larger lender credit to use for costly closing costs. Aside from floating and locking, you might also be given the option to “float down” your rate. Be sure to ask your broker or loan officer about their float-down policy when inquiring about pricing. A float-down is an option that becomes available once you lock your rate to take advantage of potential interest rate improvements. For example, say mortgage rates fall dramatically after you lock. If they do, you could have the one-time option to float the rate down to current levels for a cost. This allows you to take advantage of interest rate decreases if you want an even lower rate, despite already being locked in on an earlier date. However, as noted, there is a cost to the float-down, and it’s typically fairly significant. The cost of a float-down will range from bank to lender, and could run anywhere from .375% to .625% of the loan amount (or higher) to take advantage of current pricing. So for higher loan amounts, it could be a pricey option. Some lenders may offer to split the difference with you if rates drop after locking. So if rates are .25% lower than when you originally locked, they may lower your rate by .125% as a courtesy free of charge. Others may renegotiate the lock just to keep your business if rates have really plummeted, so it never hurts to try to haggle a bit if that happens. Just keep in mind that lenders generally have restrictions on when you can execute a float-down, how low the rate can/must drop, and how long the lock can be extended if at all. The float-down option can usually only be applied once and it must occur before the lock expires when the loan is set to close. Regardless of what direction you choose, just be sure you understand the consequences of both locking and floating. Tip: Most lenders will probably err on the side of locking your rate because they won’t want to have to explain to you why mortgage rates moved higher if they happen to get worse while floating. Very interesting….This is news to me….Anyone who tells you that you’re able to lock a rate is basically full of it…. Why not throw something in about math and why math is the only answer to a mortgage worth having…. I tell readers to get the lock confirmation in writing from the lender to ensure their loan is actually locked. Obviously a verbal lock “confirmation” is worth nothing. Most of my posts contain math to illustrate the costs or savings of doing certain things. However, I try to keep things simple to help readers (not mortgage industry folk) make sense of complicated topics without losing focus and walking away even more confused. hey quick question i have a friend who is a broker an he told me he gets paid from the sale of the house not from me so to speak. he told me it was a one time fee of 2500 or 1500 dont have the paper in front of me. the thing is they say they can get me one rate or if i pay an extra 700 up front they can get me an even better rate. i am being strong armed here right? Perhaps they’re talking about paying discount points upfront to lower your mortgage rate. Search my site for buying your rate down to learn more about that and if it’s right for you. If a lender has one rate on the application and says it’s locked but another lower rate on the truth in lending form, which rate prevails at settlement. I thought a locked rate at application is just that. Lender is saying different. Nothing has been signed because this sounds wrong to me. I posted a few minutes ago and wanted to add. i requested both documents to reflect the same rate and was told it was not neccesary and the lower rate would prevail. I am skeptical, should I be. Nothing signed because I am leary. It sounds like it wasn’t originally locked at the rate used for the initial application. The lender may have said it was locked at the time to put you at ease. Do you remember signing anything to do with locking vs. floating? If you like the new lower rate, make sure it’s actually locked by getting written confirmation. Thank you Colin. This is very useful and easy to understand information. It’s possible that your lender “missed something” initially, and had to price that in, thus the higher rate. It’s also possible that they’re using that aspect of your loan as an excuse if they failed to lock your loan, now that rates have shot up. Was your loan actually locked at 3.75%? Do you have it in writing? If so, the increase in rate could be legit. If not, the loan is probably subject to the higher rates available today, and could just be higher because rates are higher, not because it’s a second home. Thank you so much for the great information. We will be closing on our new construction home in November. Is it better to lock in the rate or float it? Seems that rates are only going up from here?? Very difficult question to answer, and only you can answer it. However, longer timelines (closing two months from now) can offer more opportunities to float as the market fluctuates. But it really comes down to personal preference because no one knows what will happen tomorrow. If there’s war in Syria and the economy gets spooked, rates could improve. But that’s no guarantee. If the jobs report released on Friday is positive, rates could shoot even higher. There are so many factors you need to keep an eye on if you’re floating as opposed to locking, seeing that you’re speculating. I appreciate your responses… quick question. It looks as if my bank has incorrectly filled out Truth in Lending doc to that was intended to match my 5/5 ARM and put in an APR that does not match the 60 month resets – i.e. the rate is supposed to reset every 60 months with a 2% cap either way. The TIL doc has the APR remaining constant through the life of the loan. Is this purely administrative or did the bank make a serious error that turned its ARM into a fixed rate deal at a very low rate? They seem very anxious for me to correct this. The loan closed 1 month ago. I’m currently sitting on year 12 of a 7 year arm that adjusts annually. It locked in January @ 3%. I have gambled in the past and it has paid off with the decline in interest rates but I am worried the Fed’s will continue to raise rates this year despite dismal news from other World markets. Should I refinance fixed or will I be safe this year. Any advice? Fixed rates are super cheap again and if you plan to stick with the loan long term, it could be time to switch to a fixed loan. Of course, you’ll reset the clock when you do and face another 30 years if you go with a 30-year fixed. But if you’re simply concerned with payment that may not be an issue for you. That being said, ARMs could remain cheap for the foreseeable future as well, but as you said it’s a risk and you may not win forever.